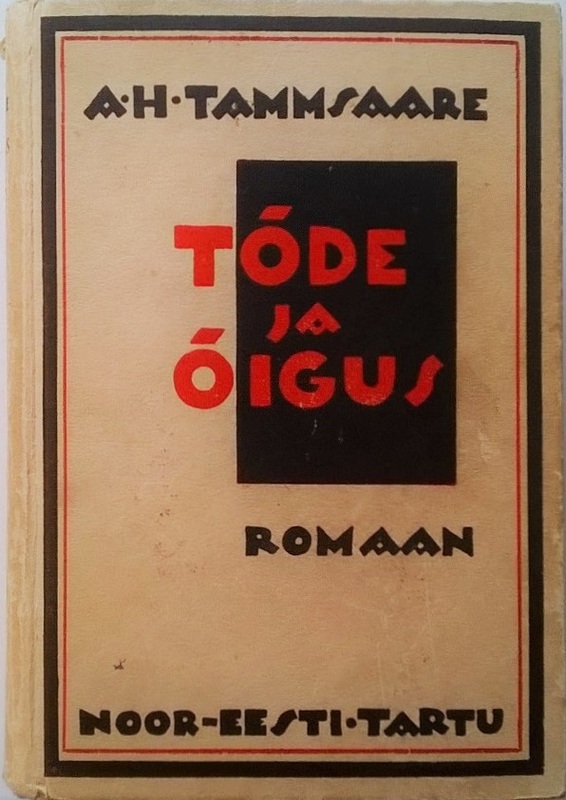 We're glad to announce that the first book to be translated with the English Wallet program is an Estonian national treasure, A. H. Tammsaare's „Truth and Justice“ I part. Estonia together with Latvia and Lithuania are the head guests in the London book fair in 2018 and it is noticeable, that „Truth and Justice“ I part reaches English speaking people there. Form this round the committee also supported from the English Wallet program Kai Aareleids' book „Linnade põletamine“ (Burning of the cities) also Andrei Ivanovs' „Hanumans' journey to Lolland“. The funding of the English Wallet program was initiated in the beginning of the year when an anonymous donator decided to benefit to the program 40 000 euros. The Endowment puts in its own share of 40 000 euros for the English Wallet project and 125 000 euros for translations and publications of Estonian literature in foreign languages.